A January poll commissioned by the Illinois Observer found that Governor Bruce Rauner’s disapproval rating has reached 51.6 percent following a tumultuous first year in office. This is a slight increase from an October poll that put Rauner’s disapproval rating at 49.9 percent. Both polls were conducted by Chicago’s Ogden & Fry. The latest poll, conducted on Jan. 9, shows Rauner’s approval rating has also slightly increased from 32.3 percent three months ago to 33.1 percent. Undecided voters have decreased from 17.8 percent in October to 15.3 percent. The governor's first term has been overshadowed by an unresolved budget conflict that has handcuffed both state and local governents. The state of Illinois has been without a budget since June. "The governor is focused today on saving taxpayers $1 billion through pension reform," said Rauner's Press Secretary, Catherine Kelly, when asked about the governor's recent poll numbers. 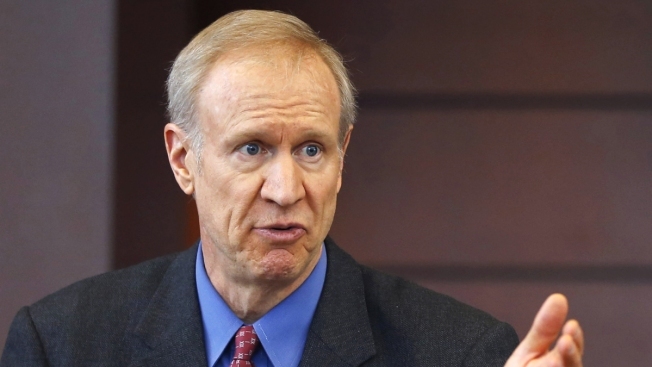 Rauner has drawn increased resistance from union bosses and democratic leaders who haven't aligned with the governor's plans for pension reform. In an Ogden & Fry poll conducted last April, 100 days into Rauner’s first term, the governor garnered a 40.6 percent approval rating with 36.3 percent disapproval and 23.1 percent undecided. Comparing this poll with the most recent statistics, Rauner's disapproval rating has risen 15.3 percent.